With the aid of our sharp business expertise, we are capable of manufacturing a broad variety of Low Carbon Ferro Chrome at industry leading prices. 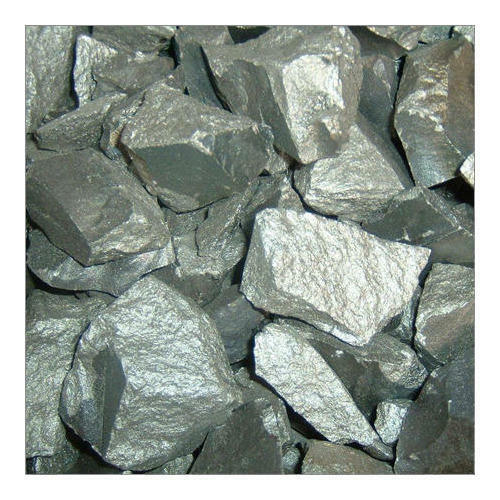 Low Carbon Ferro Chrome is produced by reducing chrome ore with low carbon reducers, typically the chrome contents are minimum 60% with carbon contents ranging from 0.03% to 0.1%. It is used for trimming additions in stainless steel production as well as other specialist applications. It is added by stainless steel producers in the last stages of production to add precise amounts of chrome without affecting the carbon levels. Established in the year 2002, we, SRC Chemicals Private Limited has created a respectable position for itself in the market by manufacturing, exporter and importer of an exclusive quality products such as Ferro Molybdenum, Low Carbon Ferro Chrome, Calcined Dolomite, Sponge Iron, Ferro Silicon, Amorphous graphite etc. Architecturally planned infrastructure set up is constructed by us to have proper execution of business operation. We have been putting our sincere efforts towards providing qualitative range to customers. Our Products are widely appreciated in the market.